Does your teen or tween struggle in school? Has your child's grades been slowly declining since the start of the new year? Each year students grades may start to decline as the school year stretches on. It is hard for them to stay highly motivated throughout the entire school year. And sometimes students need a little help to regain that motivation to finish the school year strong! Many parents also struggle with how to best help their child. They spend hour after hour with their child, working on homework and school projects, only for their teen to still not learn the important class concepts. Some parents struggle so much with their teens, that it can become a daily fight just to get them to crack open a book! Now you can end the struggle and the fight! 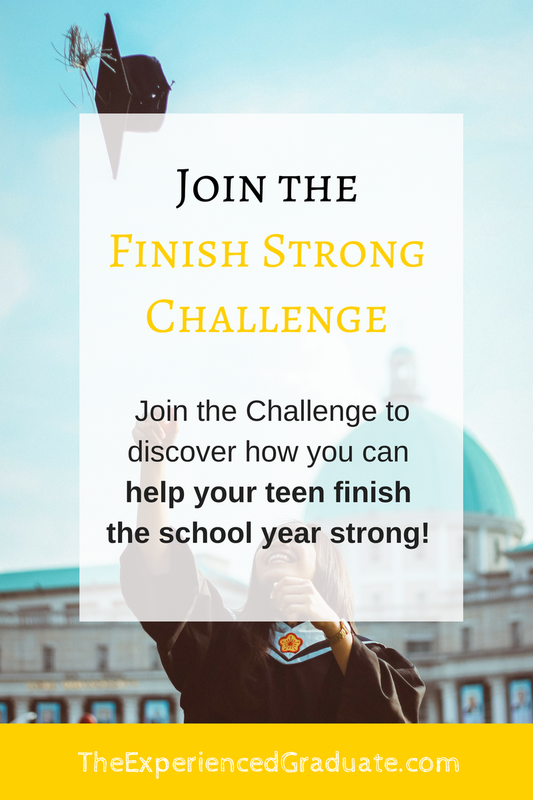 I am hosting the Finish Strong 5 Day Challenge to help you guide your child to increase their learning, improve their grades, and finish the school year strong! What will the Finish Strong Challenge cover? We will cover the most important academic skills, and how your teen can learn these skills and implement them daily. With some new tools and skills, your child will be able to improve their overall academic performance. We will go IN DEPTH about each skill, how each skill is affecting your child's grade right now, and how to implement them. This 5 Day Challenge will give you the tools and techniques to teach your child these most important skills so that they can turn their grades around and finish the school year strong! When we are done with this 5 Day Challenge, you will have the materials you need for your child's success, the confidence to guide them in the right direction, and the tools needed for your child to finish the school year strong! If you are tired of seeing your child struggle, then what have you got to lose?